Art Visionary. Australian & international journal of fantastique & visionary art. Issue One, 1998/99. Featuring HR Giger, Brigid Marlin, Tom McKee, Malcolm KcKesson, De Es Schwertberger, Felix Tuszynski, Wayne Viney. 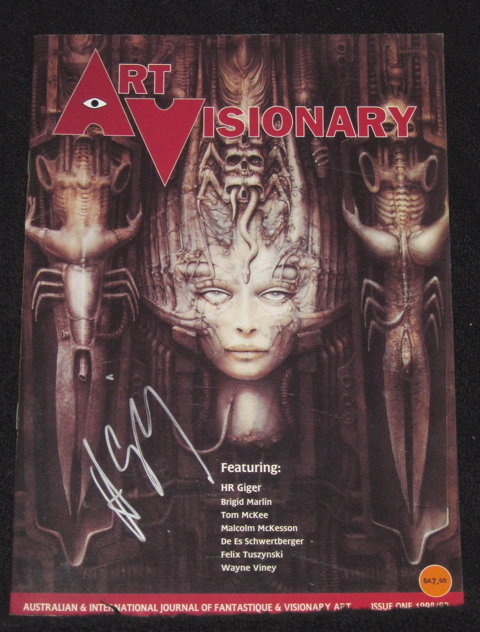 Front cover signed by Giger in silver pen. 32 pp., original illustrated paper wrappers, fine.